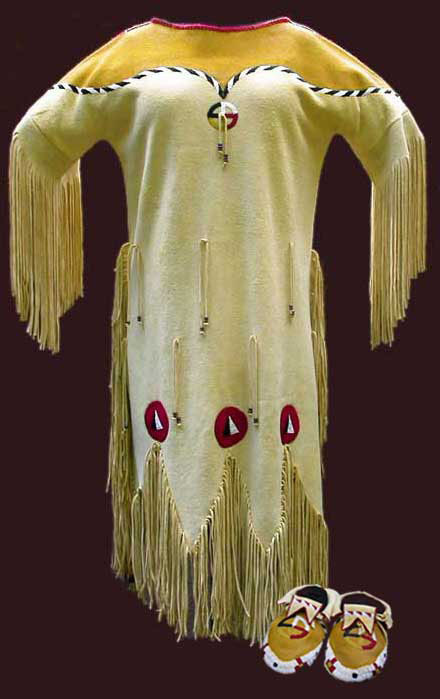 "Wedding dress" is not really a Native American term. 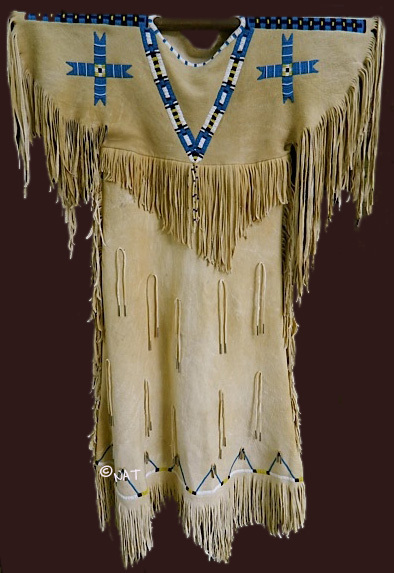 With any tribe, depending on how wealthy your family was, you may or may not have been given a special dress. 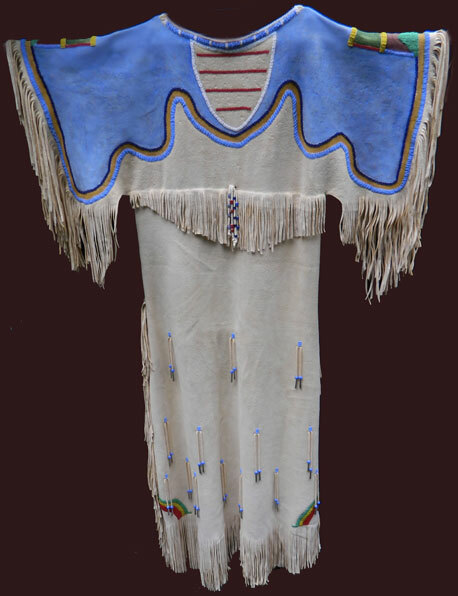 This style of dress would have been worn for ceremonies only. 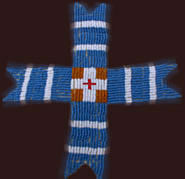 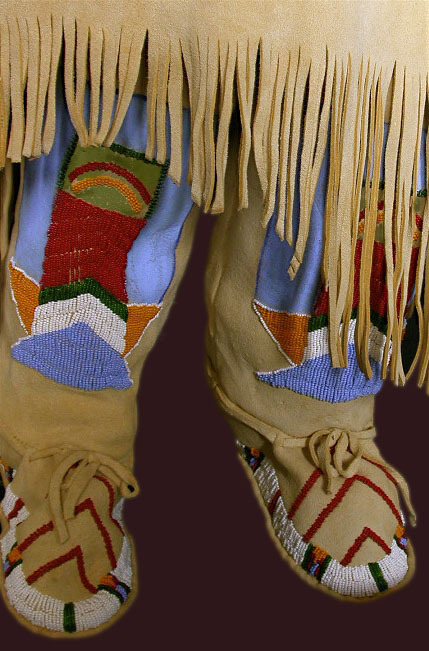 It was made or given, similar to a buffalo robe or the other things that were needed to start a new life. 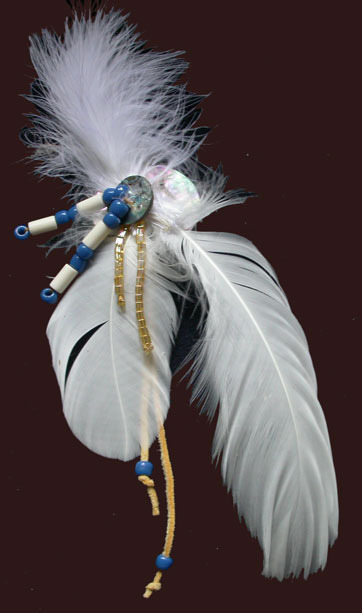 When we mention Wedding Dresses on our web site, they are dresses chosen by our clients to wear at their wedding. 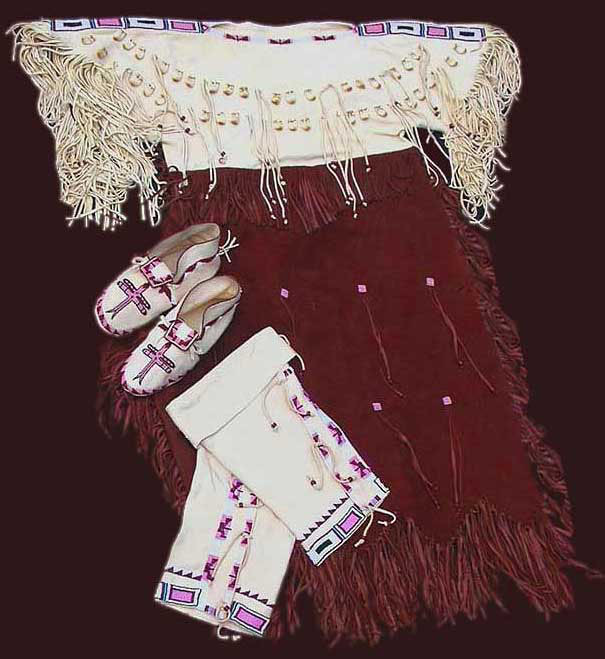 Dress is based on a traditional Cheyenne design and bead colors - with an influence of Lakota Sioux from the film "Dances with Wolves"
This dress was made for a wedding in Colorado along with other dresses, moccasins and other accessories. 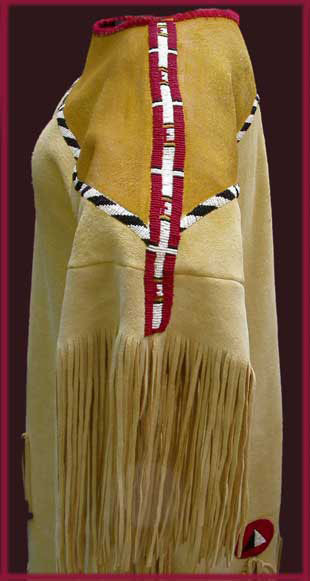 This dress is based on a fantasy Plains dress as directed by the client. 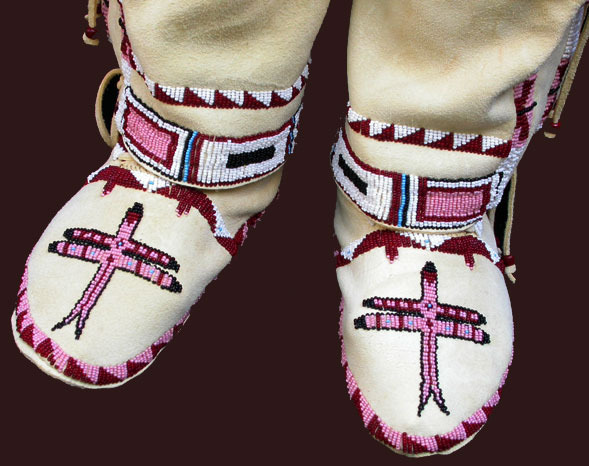 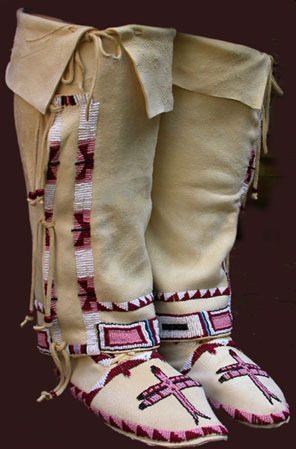 Moccasins are based on the same idea. 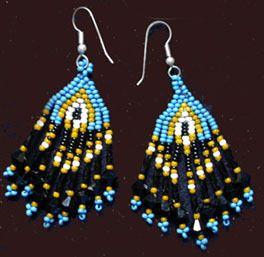 please call or email us, if you provide your telephone number - we will call you to discuss. 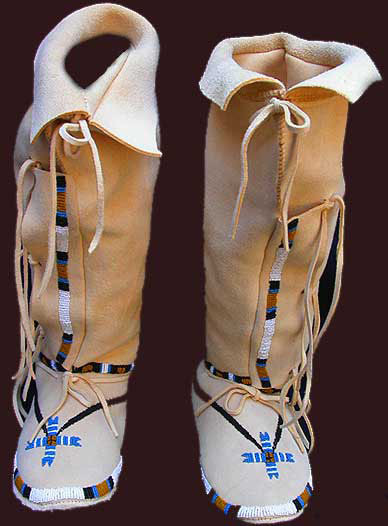 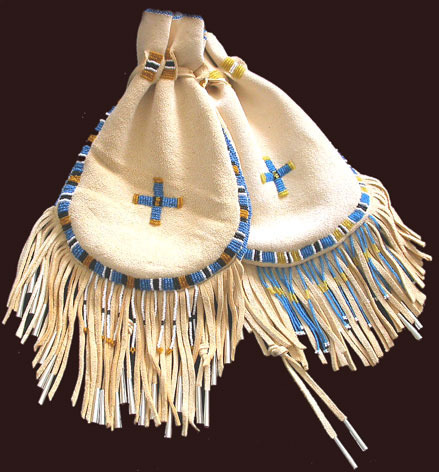 Made of natural smoked or brain tanned deer skin, white deerskin & Elk etc.